Hellllo there! I have more Pahlish for you guys today. 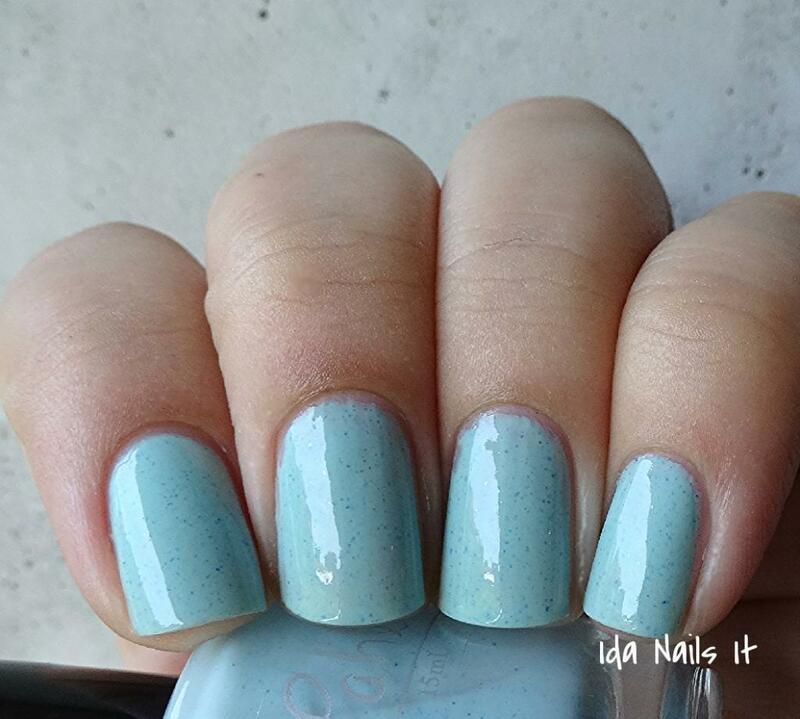 This set is the Castle by the Sea, Pahlish's May 2014 Duo. Another beautiful duo to add to my collection of fantastic Pahlish monthly duos. As I mentioned in my Wood Between the Worlds Collection post, formula is applied really well. This duo is only going to be available for the month of May, so get it while you can! Dusky robin's egg blue creme with blue micro-flakes. Yeah, pretty much had me at robin's egg blue. 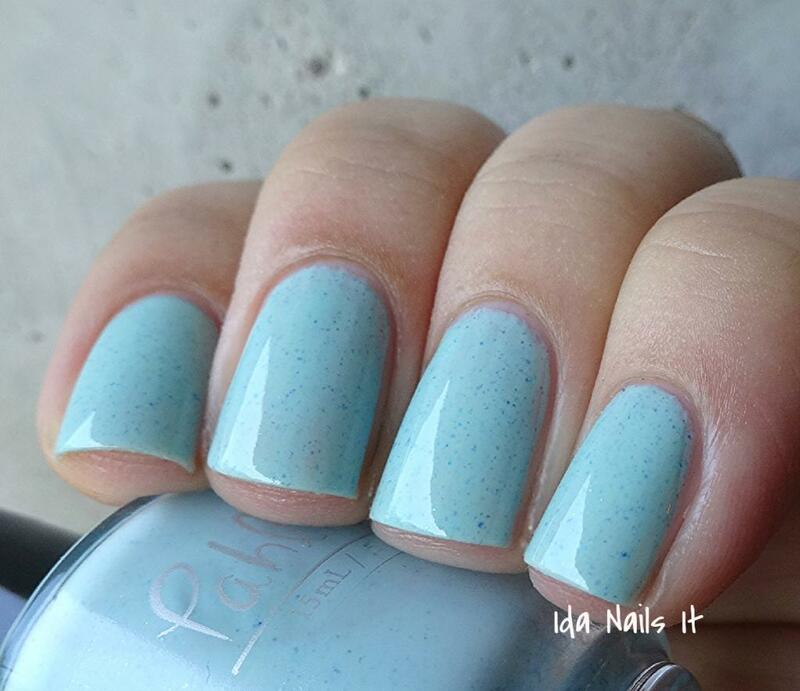 The signature Pahlish flakes make it extra better. It's very hard to get a color accurate photo of though, in person it looks just a bit more green than pure blue. Neither my phone camera and regular camera were able to pick up that up which annoyed me to no end. 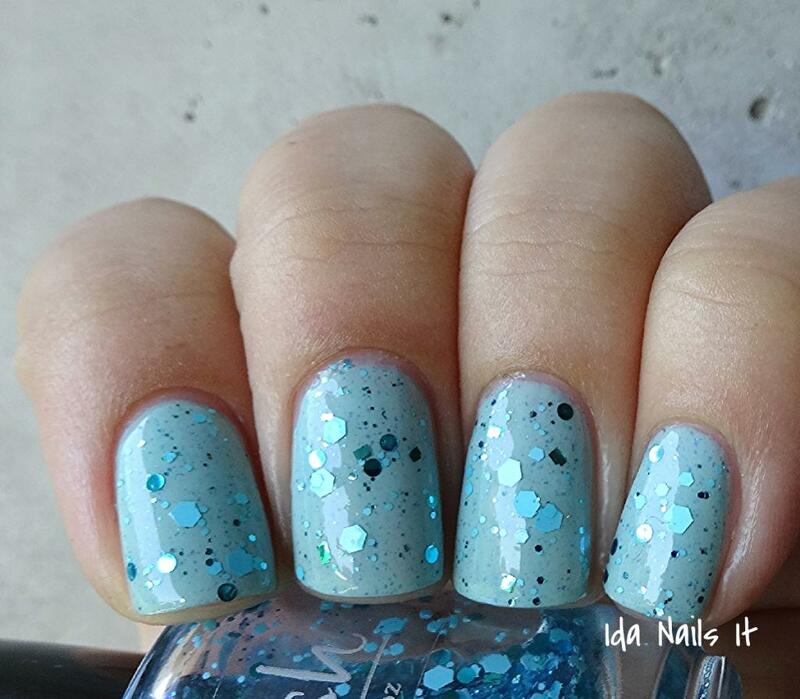 Clear based topper of turquoise, ocean blue, and teal glitter with navy micro-shimmer. 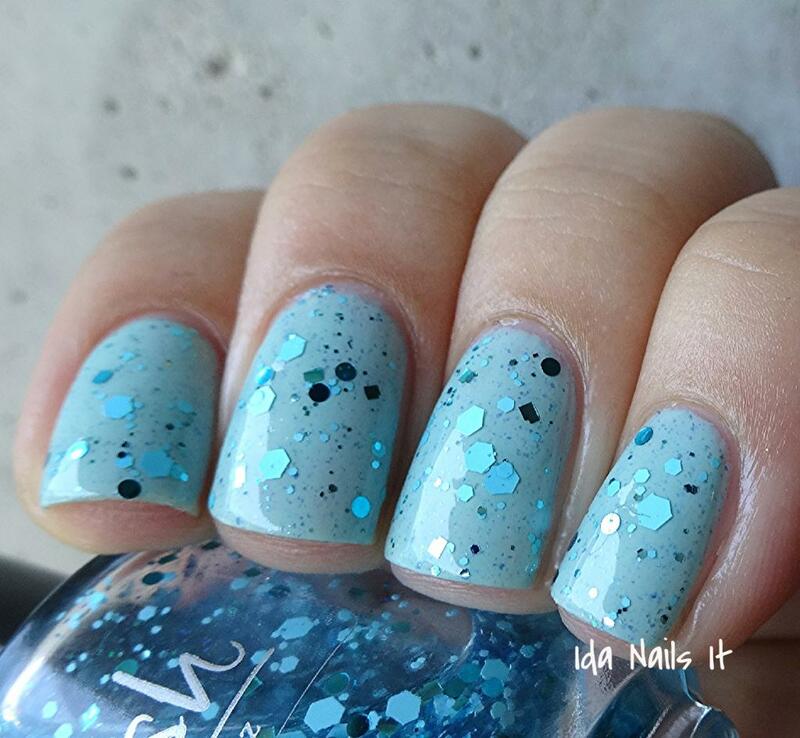 This glitter topper accents Lone Islands like they were made for each other! Oh wait....they were. Still, each of the polishes are pretty but together, Dawn Treader and Lone Islands are just wonderful. That's a pretty duo. Makes me think of the sea too.